Always enthusiastic about solving the challenges associated with large doors for architects, designers and contractors all over the world, Modern Doors for Sale introduces our latest solution addressing the issues associated with the deliverability of large oversized sliding doors of immense size. 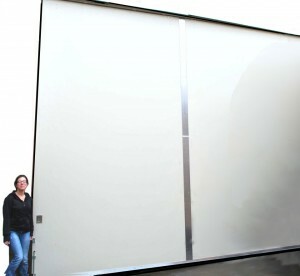 Certainly large doors are expensive to accommodate at every level of handling due to their massive size and dimensions. Big doors are hard to make, move, package, ship, load, unload, maneuver throughout the job site, finish and install; creating frustration at every phase along the way. 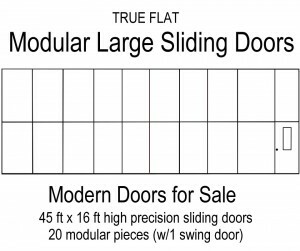 Modern Doors for Sale has created a lighter weight alternative for building large doors that results in a door that is super strong and can be perfectly straight. 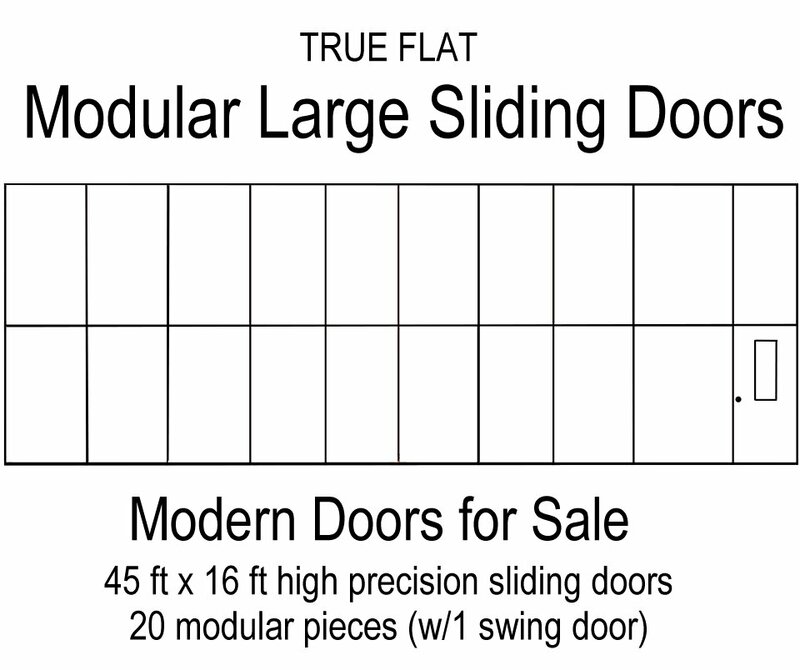 Our certified true flat big doors can be not only guaranteed to be flat, but to remain flat – that means NO bending, warping, twisting, cupping or otherwise failing – for 50 years! Our latest development addresses the transfer of your large door from our factory in Washington state, to your job site located anywhere in the world. The expense of delivery of the door to your location can be extremely costly (and may even be impossible, except for to and from military installations due to their non-traditional transfer methods). 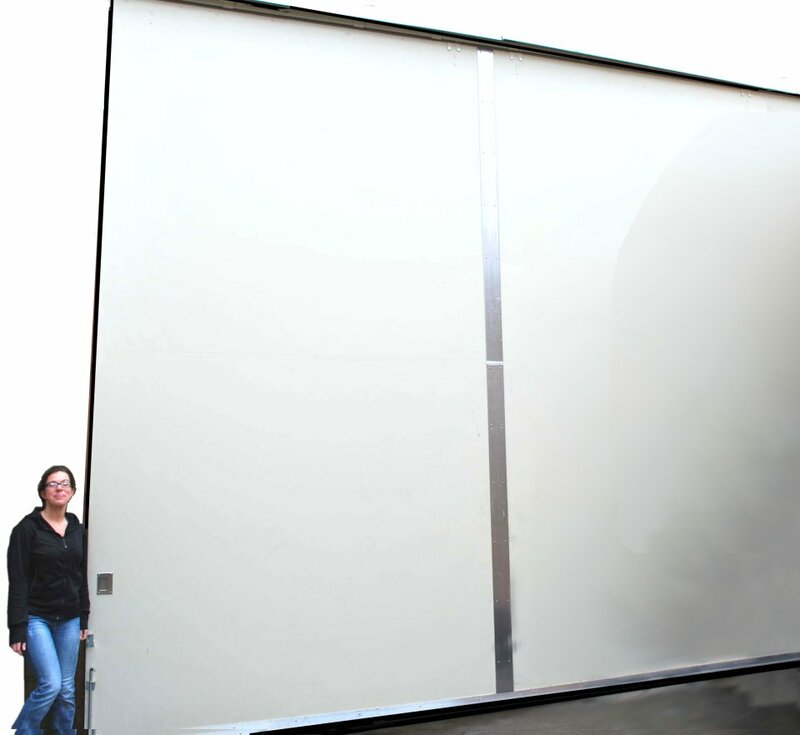 Now we can create a true flat 50 ft. wide sliding door (that would be impossible to ship by standard methods) that is modular, making it much more cost effective to ship to your location. That means that we build your large sliding door in our factory, and we design it to be disassembled at our plant for shipping in several “modular” sections for easy (traditional) shipping from us to you. When your door arrives, you simply offload the crate of modular door section and re-assemble on site at the location for installation. Much easier to transfer, ship and manage throughout the entire process without compromising the performance of your large doors. Contact us to find out why so many of the best architects, designers, contractors, millworks and the military trust Modern Doors for sale for all their large high precision sliding doors that thanks to our new modular design can be enjoyed by all of our friends in the door business.